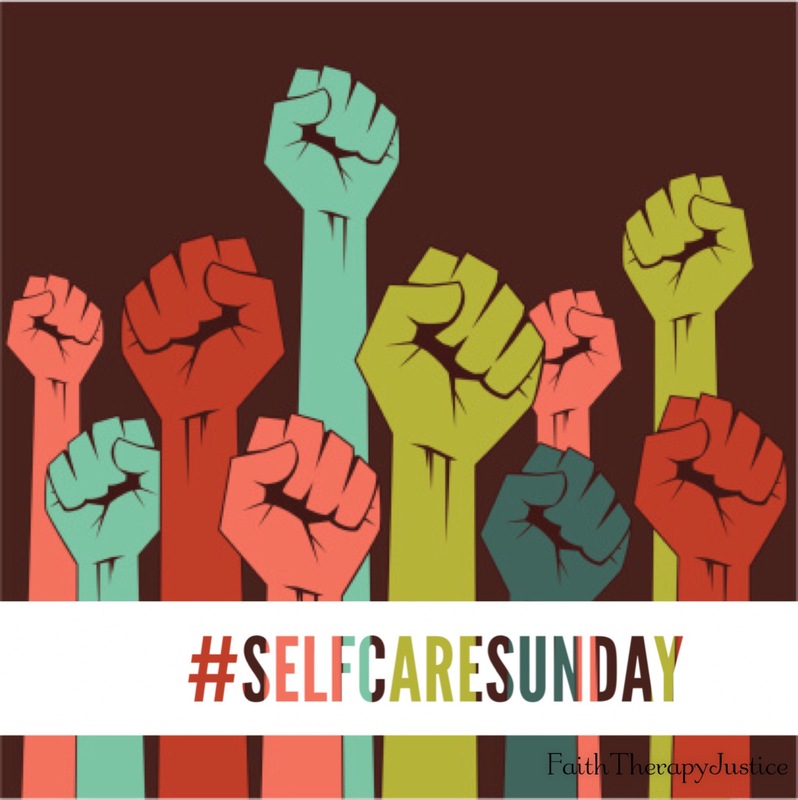 In the overlapping worlds of social justice, activism, and social work, self-care can often seem like an unattainable goal. There is always more to be done, more injustice to fight, more needs to try to meet. It can feel like there is/are never enough time, resources, and people involved. Non-profit organizations are often notoriously bad at expecting long (and often inconvenient) hours & work weeks from their employees, providing too little compensation & support, and placing generally unrealistic expectations on their staff (high caseloads, wearing too man hats, etc). Granted, many of these issues are a result of larger societal and systemic issues that contribute to a tremendous lack of funding which then impacts these other areas within individual organizations…but that is another topic for another day… The point is that there are many challenges to doing this work in a sustainable way. 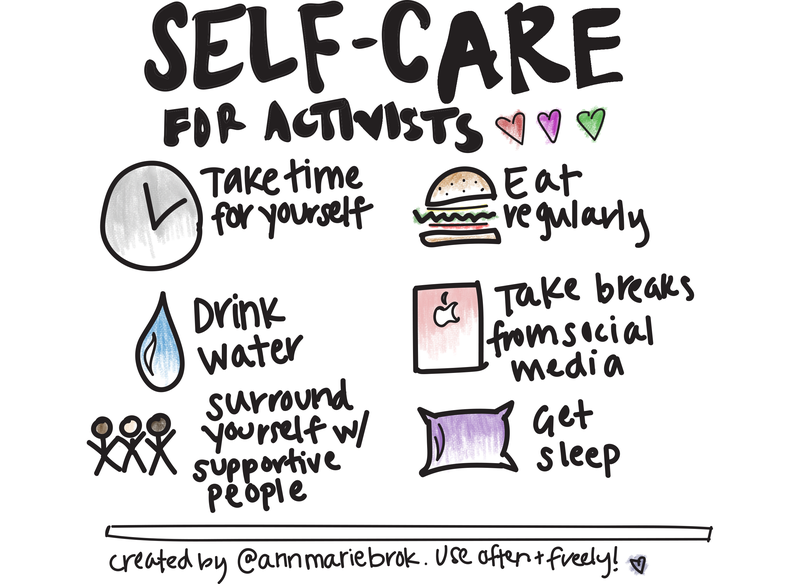 Nevertheless, I would argue that self-care is both essential to and an aspect of resistance. Any advocate, activist, or social worker will tell you that burnout is a common risk when fighting oppression and injustice in the world (regardless of the particular role and way one is doing so). It is difficult to stay engaged for the long haul. People get tired, overwhelmed, and often experience direct or vicarious trauma. Depression, anxiety, and health problems can often develop and/or increase, especially when adequate self-care is not in place. When burnout happens, people typically either walk away from the work or become increasingly counterproductive in the ways they engage in the work (and it’s rather unpleasant to work alongside someone who is dealing with burnout and not addressing it). In order to stay involved in this work, self-care is essential. It cannot be optional. None of us are super heroes. We must nurture the emotional, physical, spiritual, social aspects of ourselves on a regular basis. Self-care does not mean opting out. Self-care is taking breaks when needed. Tending to one’s personal well-being on a regular basis as part of the rhythms of one’s day, week, month, and year(s). It is burnout prevention. Self-care is a reminder that resistance is a communal, not an individual struggle. It reminds us that we cannot and should not try to take on more than we can carry. It reminds us that we are not anyone’s savior (and that we risk all sorts of paternalism if we operate otherwise). It reminds us that we need each other and that it is okay to take a break because the community, the people, will persist. Self-care stands in direct oposition to the hyper-individualism that permeates much of the western world. And this hyper-individualism perpetuates oppressive systems because it denies their very existence (placing responsibility for an individual’s struggles solely on the individual rather than considering the impact larger systems have on those struggles). Self-care is also resistance to empire. It is resistance to a world that often defines our value by what we produce, what we do, what outcomes we achieve. Self-care insists each and every one of us have inherent worth as human beings. It is subversive. Self-care creates space to engage in things empire generally cares little for – nature and a connection to the land, preventative health practices, spirituality, life-giving relationships, art.